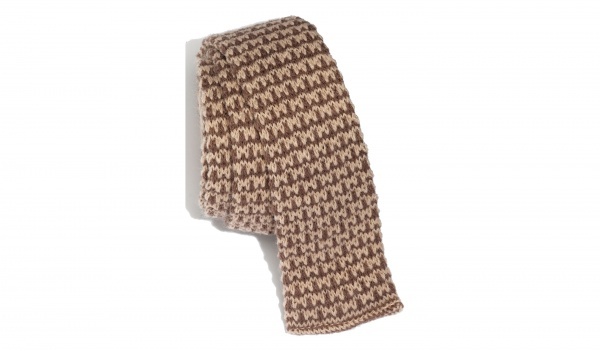 Hawkeye Supply Co. keeps things rustic with this fine brown knit tie. Thick knit with a two inch width, and American construction, this flat end tie is a great way to add depth and texture to a suit that just isn’t working. Find the knit tie online here. This entry was posted in Accessories, Ties and tagged Hawkeye Supply Co, Tie. Bookmark the permalink.